Shake up your cocktail repertoire. 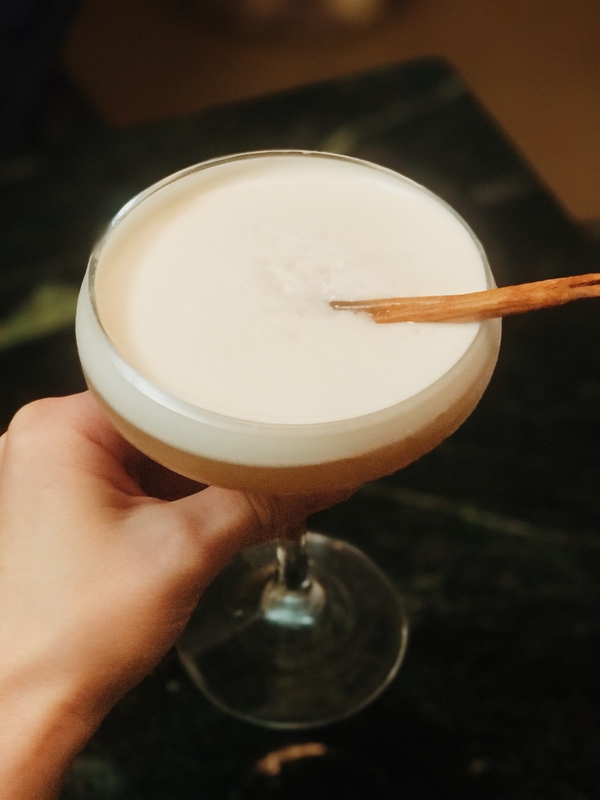 Making craft cocktails at home is no easy feat. Which is why I usually resort to making a reliable yet boring gin and tonic or vodka soda. 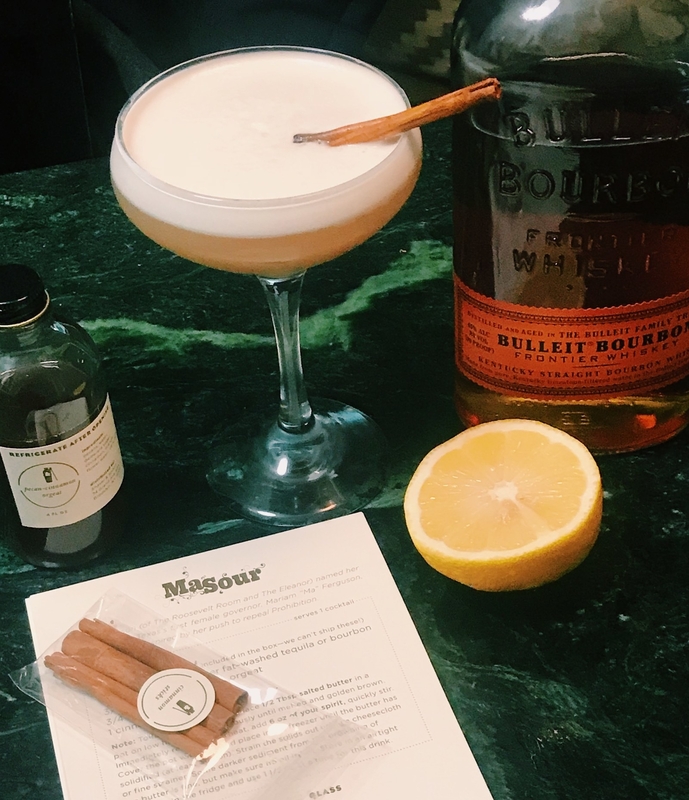 But the struggle ends here, thanks to Shaker & Spoon, a subscription box that delivers craft cocktail ingredients to your door each month. The boxes are $50 per month, or you can buy a 3-month, 6-month, or 12-month subscription, which will cost you less per month. You can also gift your cocktail-loving friend any of the subscription options. Each month, Shaker & Spoon offers a new themed box with flavors that coincide with the season. Each month you get a box which contains 3 different recipes and the ingredients to make 12 cocktails in total (4 from each recipe). The ingredients are often things you'd probably never buy for yourself like Angostura bitters, star anise, grenadine syrup, and brandy-soaked cherries. The only thing you have to buy is the alcohol (and let's be honest, you probably already have that). It's NBD because each monthly box focuses on one specific spirit, like añejo tequila, rye, or aged rum. I tried out a box for myself, and I the cocktails were amazing. I felt like a legit bartender. The cocktails in my box were meant to be made with either aged bourbon or tequila so I could choose my preference. And the three recipes, which were developed by award-winning bartenders, came with easy to follow instruction cards. My favorite thing about Shaker & Spoon is that I learned new cocktail making techniques that I can use time and time again, even without a subscription box. In order to make my favorite of the three cocktails, a drink called the "Ma Sour," I learned how to fat-wash bourbon (aka adding butter to bourbon to infuse the spirit with a nutty, toasty, savory flavor.) I also learned how to mix raw egg white into a cocktail in order to add a delicious, rich, and foamy top. Each box is also the perfect way to shake up a girl's or guy's night in. Rather than open a bottle of wine like we usually do, I'd have my friends come over to make delicious cocktails and hang out. Shaker & Spoon definitely makes things feel ~fancy~ and a step above the ordinary. So whether you're a craft-cocktail aficionado, a bartender in training, or you're just tired of boring old well drinks, Shaker & Spoon might just be the kit for you. Get it from CrateJoy for $50 a month, or Shaker & Spoon for $50 a month or $135 for three months.